OxyNEO Drug Rehab - Addiction is Deadly-Seek Help! A recent study revealed that for many teens, opioid abuse begins with wisdom tooth extractions. The unnecessary prescriptions can lead to lifelong addiction, progressing to other opioid usages including heroin addiction. And now, insurers are discouraging opioid use for dental extractions, asking doctors to rely on Tylenol instead. The study, published in JAMA Internal Medicine last December, found that youths age 16 to 25 who first used opioids after dental care were more than ten times more likely than their peers to be diagnosed with opioid abuse. Startlingly, opioid use disorder often emerges within just a year of getting their first prescription. The Kansas City Star spoke with United Healthcare’s chief dental officer Ted Wong, who said that the relationship between dental prescriptions and opioid abuse makes sense. He explained that adolescents are more sensitive to drugs like opioids because their brains are developing. Opioid prescriptions for wisdom tooth procedures are common for young people, and nearly 5 million people have their wisdom teeth removed every year. “That gave us a reason to kind of look at that high-risk population,” Wong said. UnitedHealthcare found that about 70% of their patients were prescribed opioids for pain after having their wisdom teeth removed. Nearly 45% of all opioid prescriptions adolescents took were prescribed by their dentist. Cigna now limits dental prescriptions to a three day supply and is working to educate dentists about alternatives, such as a combination of Tylenol and Advil. Because of this increased awareness, other insurers are also making sure dentists in their networks are prescribing a minimal amount of opioids. Cigna, for example, now limits initial opioid prescriptions to a seven day supply. Aetna has written letters to dentists who prescribe high amounts of opiates to let them know that they’re prescribing too much and recommends a seven-day prescription maximum for dental pain. The American Dental Association has also published guidelines for dentists, including publishing guidelines that tell them to limit their prescriptions for opioids. They also recommend teaching patients how to dispose of any unused pills properly, so others don’t inadvertently abuse them. Many drugs that are sold on the street have been tainted with fentanyl, a powerful drug that is 80 to 100 times stronger than morphine. For some users, the tainted drug is too powerful. A controversial test strip that can test for fentanyl can save lives, but some people aren’t too excited about it. Fentanyl is taking lives faster than any drug before it, and many users accidentally ingest fentanyl when a drug is laced with it. Harm reduction advocates, who afvocate for spafe spaces and less strict drug laws, say this can save countless lives. The Fentanyl test strip technology was originally developed by a Canadian biotech company BTNX for urine drug testing. The dru strips, however, also work in liquid heroin or when a water is added to empty baggies of cocaine. In other words, it can test for the presence of fentanyl in liquids. Researchers at Johns Hopkins and Brown University determined the test strips can even detect a small amount of fentanyl in the test strips, which is incredibly useful for harm reduction. After all, just a few grains of fentanyl can be dangerous for a non-opioid user. “Our findings bring to the table evidence that can inform a public health approach to the fentanyl crisis. Smart strategies that reduce harm can save lives,” said Susan Sherman, a co-author on the study. According to the study, there are several programs in the US already using the test strips. In Los Angeles County, first responders and heath care workers discuss the potential risks and benefits of the strips with patients who use street drugs before they give them out. They are also handy for first responders, who often handle drugs that people have used to overdose. The test strips aren’t 100% effective at eliminating the risk of overdose and they can’t tell first responder how much fentanyl is present. However, they offer a clue when somebody is unconvcious and the EMT’s are trying to save a life. Researchers see the test strips as a way to prevent deaths, but they’re now without opponents. Many people worry it’s just another license for drug users to use without consequence. However, when it’s life and death, it’s hard to see why we should keep people with substance use issues from testing for fentanyl. A few months ago, Blue Cross/Blue Shield, one of the nation’s largest health insurers, announced that they would stop covering Oxycontin, a drug known for its addictive properties as well as its manipulation of doctors through marketing. The makers of Oxy, Perdue Pharma, have also stopped marketing the drugs to doctors, perhaps as a result of dozens of lawsuits stemming from the opioid addiction crisis here in the US. While many people hail this as a good sign, the Blue Cross/Blue Shield coverage of pain relievers aren’t going to stop doctors from prescribing the medication in its generic form, or other variations of opioids in its place. A closer look at the changes that Blue Cross is making shows that the company isn’t necessarily shunning opioids. They still plan to cover oxycodone, the active ingredient in OxyContin. Instead, they plan on shifting coverage to new formulations designed to be harder to abuse. RoxyBond is short-acting (SA) oxycodone formulation with what the FDA says has abuse-deterrent properties, for treatment of pain requiring management with an opioid. It’s the first short-acting opioid to be approved as an abuse-deterrent product. Roxybond is meant for short-term pain relief, rather than chronic pain relief. Xtampza ER, an extended-release pain reliever, is also considered an abuse-deterrent drug. As an extended-release product, it is more appropriate for consistent or chronic pain and is supposed to be more of a last resort when it comes to pain medication. The FDA is the only entity that can approve the label of “abuse-deterrent” when it comes to addictive drugs. These types of opioids are still relatively new in the pharmaceutical industry. Abuse-deterrent opioid formulations have properties that make abuse of the drug more difficult and “less attractive” to recreational users. However, they still contain addictive drugs. They also tend to cost more than other opioids on the market, and whether they reduce overall opioid abuse remains to be determined. However, the FDA has been fast-tracking pain medications with these properties in hopes that they can help curb the opioid epidemic. There is nothing that prevents drug-takers from misusing these drugs by taking too many, and overdose is still possible. Perdue Pharma makes Oxycontin, one of the most addictive prescription opioid drugs on the market. They’re a subject of many lawsuits and have been under Congressional investigation for their activities promoting opioid medications to doctors and other medical professionals. Many people say their company has made hundreds of millions of dollars fueling the addiction epidemic. However, the company has now started to dig into a new way to make money from the opioid epidemic. They’ve been quietly working to patent a new form of buprenorphine, a drug that is regularly used to help people get off of opioids. What is Perdue’s New Addiction Medication? In the recovery community, buprenorphine better known as a medication-assisted treatment when people take these drugs to stay clean. Perdue’s version is a “fast-acting” form of buprenorphine, which helps control drug cravings, according to CBS reported. While other versions of the drug are available in either tablet or dissolving strips, the Purdue version comes in a “wafer” that dissolves in only a few seconds. Richard Sackler, a member of Purdue’s board, is listed as one of the inventors on the new drug. The Sackler family, known for their philanthropy in the art world, controls Purdue Pharma and have made hundreds of millions of dollars off of Oxycontin and other opioids. In the past few years, while Perdue has been mired in lawsuits, the company has also been trying to salvage their name/brand. They have offered grants to various state drug treatment programs. Last week, Purdue donated $3.4 million to the developer of an over-the-counter version of naloxone, an opioid-antagonist meant to reverse fatal overdoses. And the release of buprenorphine they are developing will be offered for free to some drug treatment programs for indigent clients. Perdue Pharma is fighting over 1000 lawsuits across the US. They’re under heavy scrutiny and continue to be investigated by news organizations. They’ve often lead heavy-handed PR efforts and efforts to obfuscate their efforts to push more narcotic prescriptions. While the Sackler-owned Perdue has promised to stop marketing opioids to doctors, they’ve remained silent on a second opioid manufacturing company they own – making no promises about generics at all. In the end, it’s about the bottom line. They will do what it takes to remain profitable, it seems. Hopefully, doctors will recognize the hypocrisy and choose a different version of buprenorphine for their clients. The ACLU is assisting a man from Caribou, Manie in suing for the right to continue his addiction treatment medication while he serves his upcoming jail sentence. If the lawsuit is successful, it will create a persuasive precedent and pave the way to create fundamental changes in how jails and prisons treat inmates with substance use disorders. Zachary Smith, 30, filed his civil rights lawsuit in federal court Thursday against the Aroostook County Sheriff’s Office and Maine Department of Corrections. The current jail policy of prevents inmates from continuing their medication-assisted treatment, such as Suboxone or methadone, while incarcerated. The assumption seems to be that while in prison drugs and alcohol are unavailable, therefore, treatment isn’t needed. Most jails allow twelve-step meetings to be brought in from the outside and allow inmates to have sponsors and participate in these meetings. In most cases, access to treatment is limited, and few inmates have constant contact with the outside world. There are still plenty of drugs smuggled into these settings, which makes temptation run high. In most jails and prisons, prisoners are deprived of their medication-assisted treatment. If on the drug while incarcerated, inmates most often go into withdrawal, which is physically painful and sometimes medically dangerous. Withdrawal symptoms such as sweats, mood swings, vomiting, and even seizures are commonly lived out in a cell. People in withdrawal usually aren’t even allowed to go to the jail clinic – causing addicts to seek relief wherever they can get it. People deprived of their medications are also highly likely to relapse upon release. The U.S. Department of Justice recently launched an investigation into whether Massachusetts prison officials are violating the law by denying prisoners’ medication-assisted treatment. The outcome of that case will impact many states, including Maine. Lucemyra has been on the market in the UK to assist with opioid withdrawal symptoms for about twenty years, but its use in the US has only just been approved. The FDA cleared the drug last Wednesday via fast-track to give American doctors another tool for fighting the opioid epidemic. Lucemyra alone is not to be considered treatment for opioid use disorder, the FDA says. However, clinical trials prove that it can reduce the severity of withdrawal symptoms that patients experience when they cease opioid use completely. This can give a person with an opioid use disorder a lifeline to help them get clean once and for all. Combined with therapy, 12-step programs and other tools, Lucemyra can help people find their way to recovery without the torment of many withdrawal symptoms. What is Opioid Withdrawal Like? Opioid withdrawal can be intense and vary. People just getting off of opioids, when withdrawing rapidly, can be anxious, agitate, and experience a variety of mood swings. Physical symptoms include muscle aches, runny nose, sweating, nausea, vomiting, diarrhea. A person with an opioid use disorder will also experience strong cravings for their drug of choice. For people who have merely been on opioids for a while, but not abusing their medication, doctors help them create a plan for tapering and lowing the amount of drug taken. However, this is dangerous in more than one way for a person with an opioid use disorder, and temptation is the major worry. Clinical studies will be required to evaluate the safety of Lucemyra. Right now, the FDA only recommends that people take thedrug for a maximum of 14 days. All drugs have potential side effects, and it’s up to you and your doctor to weigh the pros and cons of any medication-assisted treatment. According to the FDA, Lucemyra can cause low blood pressure, slow heart rate, sleepiness, sedation and dizziness. There is a risk of abnormal heart rythmns. Some people have fainted when taking Lucemyra. Lucemyra has not been established in children or adolescents less than 17 years of age. Purdue Pharma “Fights Opioid Epidemic” – Too Little, Too Late? Purdue Pharma is one of the largest opioid makers in the country and the subject of countless lawsuits in the past few years. They’ve received scrutiny over their choices to market and push Oxycontin on the doctors, and in February, they promised to stop actively marketing the drug. Now, this opioid maker is making efforts to help the people that are now addicted to their drugs. But is it just another PR campaign to mitigate the company’s bad reputation? Critics say that all of this is “too little, too late.” Thousands have died from what even lawmakers say are irresponsible and maybe even illegal practices to push the drug. However, the dire consequences of opioid addiction make it so many localities can’t discriminate between funds. For many people addicted to opioids across the US, there simply isn’t enough help available. The federal government’s Opioid Commission is considered pretty much a “bust”, with lots of recommendations and few monetary resources to implement them. Many states are spending too much money simply on saving lives with tools such as the opioid-antagonist Naloxone. Budgets are tight in areas where the most vulnerable are finding addiction pervasive. · Purdue has partnered with the National Sheriffs’ Association to give free naloxone overdose-antidote kits and training to front-line officers. Total, the second phase of this program will allow total funding of the program up to $850,000 since its inception. · They have funded pill disposal boxes in pharmacies, clinics and police stations in various states, including North Caroline. · They have run a radio campaign in Connecticut warning of the dangers of opioid abuse. · OxyContin sales dropped in recent years, from $2.8 billion in 2012 to $1.7 billion in 2017, with many competitive drugs on the market, especially generic drugs. · Purdue almost exclusively sells and manufactures various opioid drugs. They have only promised to quit marketing Oxycontin. · Alongside running ads warning about opioid abuse, they also have been marketing a new medicine to treat opioid-induced constipation, which is just another drug in their line of products. · In 2007, Purdue Pharma pleaded guilty in federal court to misleading doctors and patients about OxyContin’s risk of addiction and potential for abuse. They agreed to pay $600 million in fines, but did not stop marketing the drug until there was a nationwide outcry as the opioid crisis progressed. · The company press releases never use the words “addicted” or “addictive” in any statements or literature, preferring to use the words “use” and “abuse”, which minimizes the opioid crisis. A little over a week ago, revelations that Dr. Phil exploited people with addiction disorders made its way all over the news, shocking addiction recovery advocates and dismaying many of the treatment centers and interventionists he frequently works with when staging interventions. Several guests appearing on Phil McGraw’s talk show told of temptation in their green rooms, and drug offerings such as pills that “calm nerves,” casting doubt on his good intentions. Guests that have appeared on his show are often left without a support system in place as they wait for their turn on the recorded show. For some, this means they are required to “detox” alone in a hotel room, without medical intervention, for up to 48 hours. By the time they arrive at the studio, many of them are physically and emotionally exhausted. Experts say that this is because the show has partnerships with treatment centers in other states, who are not licensed to provide assistance in the state where Dr. Phil’s show is taped for television. People coming to get help on the show don’t expect to find alcohol in their “green room” when they arrive, but, of course, it happens. In fact, one guest with an opioid use disorder described bringing his heroin, with the consent of Dr. Phil’s staff, according to a family member who spoke with reporters. Another guest, who became a “frequent flyer” through Dr. Phil’s show, described how he compulsively downed a bottle of liquor once he landed comfortably in the green room. (The room came equipped with more than just a mini-bar, there were bottles of several favorite liquors for those who liked to drink.) Unfortunately, for this particular guest, alcohol was his drug of choice. He got wasted and later told friends and family he didn’t remember anything about the show itself. For many people, desperation is what drove them to Dr. Phil’s shows in the first place. They were promised free drug treatment (if they agreed to go) at some of the most reputable (and expensive) treatment centers in the US. One man with an alcohol use disorder went on the show three times– knowing that he would suffer from humiliation but also knowing that he just couldn’t afford treatment at all. Addiction treatment centers are woefully underfunded, and there are few beds for people who don’t have the money or insurance to help pay. Funding is such an essential issue for addiction treatment advocates to continue to pursue in 2018 and beyond. Dr. Phil’s show is just a symptom of what goes on when the government fails to address a public health crisis like the current opioid addiction crisis. Address the problem at the roots, and branches like the exploitation on television shows will fail to grow. Last week, the FDA announced approval of a once-a-month drug, Sublocade, for individuals with an opioid use disorder who need drug-assisted treatment to get and stay clean. For people suffering from the opiate-related disorders, there are just a few options for drug-related therapy to help them reduce cravings and stay clean. Suboxone and methadone have been the most available forms, but each has its drawbacks, including the fact that methadone is regulated in a way that means it must usually be dispensed just a dosage at a time. Missing a dosage can cause awful withdrawal symptoms and cravings. Even something as simple as inclement weather such as snow can make it difficult for drug treatment clients to get the medication they need. Suboxone has become popular because it has fewer drawbacks, with one of the main complaints being that a person prescribed the pill must be consistent with its dosage, taking it once a day, at the same time every day. This is why Sublocade, just approved by the FDA last week, offers hope to some addiction recovery professionals. It can help fill a treatment void for those who need it. 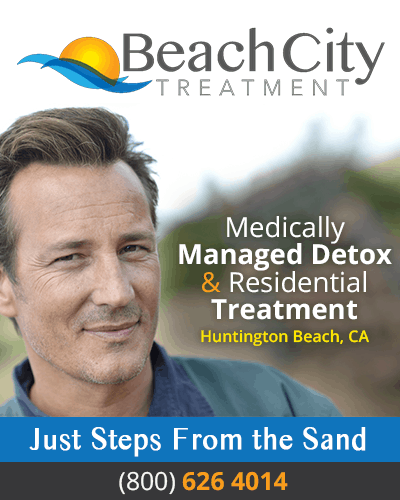 Why a Monthly Injection to Combat Addiction Cravings? While not seen as a perfect drug, Sublocade can function as a new tool in the box for addiction professionals and medical providers to fight addiction. Patients with substance abuse disorders – as well as mental health disorders – may have difficulty with medication compliance for a number of reasons. People may think that they are “cured” or simply be too “busy” or overwhelmed in life to remember to take their pills like clockwork. And while it often goes unmentioned, this can lead to relapse when cravings set in. Suboxone is a prescribed medicine that when used as directed can block early, mild withdrawal symptoms while blocking opiate receptors, which relieves painful opiate withdrawal symptoms. When a person misses a dose, however, they may get “sick” and experience immediate withdrawal symptoms. Some people don’t experience these symptoms immediately, but for others, the symptoms may be severe. Sublocade is the first once-monthly injectable buprenorphine product for the treatment of moderate-to-severe opioid use disorder (OUD) in adult patients. Prior to using the monthly dosage, the patient must have been on the regular Suboxone drug for 7 days without any ill effects. Medication-assisted treatment does its job, but as the FDA has warned, it is most effective when used with other treatment modes, such as therapy and 12-step programs. Daily Suboxone treatment, also known as buprenorphine, is usually taken as a tablet or film that dissolves in the mouth. It is also available as an implant under the brand name Probuphine. Cigna health insurance, the fourth largest insurer in the US company with over 11,400,000 members, has taken what is seen as a drastic step in the fight against opioid addiction. Effective in January, the insurance giant will effectively stop covering the cost of use of the opioid OxyContin. While many in the addiction treatment profession have lauded this change, it’s important to look more carefully at what’s really going on. At the same time that Cigna announced they would no longer be providing coverage for Oxycontin, the company also announced a contract to continue covering a competing oxycodone alternative by the name of Xtampza ER. The contract includes a financial penalty on that drug’s maker if Cigna discovers the drug is overprescribed or there are other patterns indicating the drug has become a drug of abuse. Because of this stipulation, the manufacturer also has more motivation to monitor sales and look for areas of abuse and high prescription rates. OxyContin is the only opioid-based prescription painkiller that Cigna is removing in 2018 from its formulary. (A formulary is the list of medications that an insurer will cover for its members.) Cigna will review individual prescriptions for OxyContin on a case-by-case basis, but people with terminal diseases will be able to continue taking it. Will Cigna’s Actions Reduce Opiate Abuse? However, it appears trust is a central issue. “We found a strong sense of commitment” to reducing opioid overuse from Collegium Pharmaceuticals, the maker of the oxycodone drug that Cigna plans to cover instead. Purdue Pharma is currently facing dozens of lawsuits from cities, counties, and states across the US, all of them alleging that the drug makers cared more about profits and misled users and doctors about their addictive nature. The contract with a new manufacturer helps create a relationship that makes drug makers more accountable to others involved in pain medicine. This is a great beginning for insurers who want to protect their patients. However, there are literally dozens of other opioid and opiate drugs on the market, and many of them have yet to answer for their own part in creating the addiction epidemic. Until all of the “shady” pharma companies are held to account, there will be more pills mills and rampant addiction waiting in the shadows of this under-regulated industry. Copyright © 2019 OxyNEO Drug Rehab. All Rights Reserved.